Crowell & Moring has hired David Stepp as a partner in the firm’s international trade group in Los Angeles. He joins the firm from Bryan Cave Leighton Paisner. Stepp, a global customs and trade compliance lawyer, has more than 30 years of experience. His arrival expands the presence of the firm’s international trade group into California, further broadening its reach to serve clients across the Pacific Rim. “David’s global customs experience represents a wonderful addition to our international trade group,” says Philip Inglima, chair of Crowell & Moring. “Further building our highly-regarded trade practice is a firm priority, and David’s presence in California presents new opportunities for us. 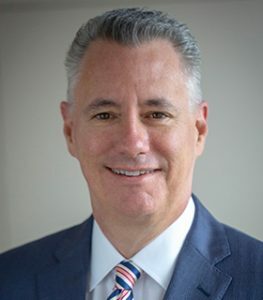 He has a well-earned reputation as a trusted advisor, and his experience will be a tremendous benefit to many of the firm’s clients.” Stepp’s remit is focused on customs compliance and counselling, including tariff classification, valuation, country of origin marking, free trade agreements and other international trade regulatory requirements. He also advises companies on their e-commerce strategies globally, conducts global customs and international trade audits, and counsels clients on improving compliance programmes across borders. He also has experience in advising on trade remedies and co-ordinating government investigations. With a particular focus on Asian trade, his clients span a range of industries, including retail, e-commerce, aerospace and a broad range of consumer goods. According to John Brew, chair of the firm’s international trade group, the hire now allows Crowell & Moring to expand its capabilities to provide counsel on “emerging trade issues worldwide”. “Given the current trade wars and uncertainties of the global trade environment, clients are hungry for deft guidance to minimise tariffs, resolve supply chain disruptions and secure market access. David has a strong trade practice and skill set that meets all of these client needs,” he says. Stepp has practiced in California, Singapore and Washington. He joined Bryan Cave as a partner in 2005, and later served as managing partner of Bryan Cave’s Singapore office. His previous experience includes working with a major US customhouse broker, where he advised the company’s importing clients on US customs practices and procedures. The post Crowell & Moring appoints trade partner, establishes California presence appeared first on Global Trade Review (GTR).